Internationale Sommerakademie Ettal | Klanglichter e.V. Founded in 1977 by Kurt Pahlen at Lenk, Switzerland, the International Summer Academy has been taking place since 2017 in the wonderful ambience of the Benedictine monastery in Ettal. After two very successful years of the International Summer Academy Ettal, the annual masterclasses with internationally renowned professors will again take place in the breathtaking scenery of the Ammergau Alps between August 9th and 31st. For more than ten years, the Summer Academy has been under the artistic direction of Prof. Adrian Oetiker. Part of the tradition-rich summer academy is the Summer Festival, which has been established for many years. Of course, fulminant concerts at the highest level will flank the summer academy again this year. The masterclasses of the Summer Academy are public and free for listeners. Here, all those interested as guest auditors are offered insights into the daily musical work. The exact lesson times can be requested on site. From the work of the master classes grow our academy concerts, which take place daily. Experience our highly talented young musicians live on stage. The programs are available at short notice as part of the lesson. Visit the lessons of the master classes during the day and see the fruits of this work in the evening at the academy concert. Follow the development of both the students and the composition during the master class and the implementation on stage. 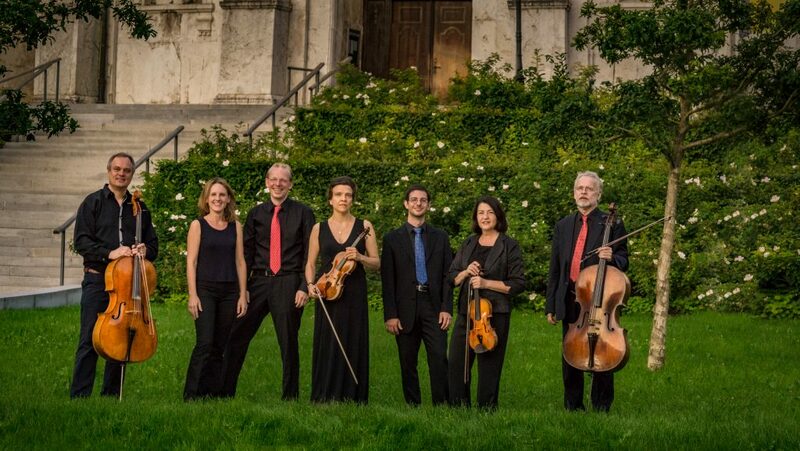 It is the symbiosis of academy and concert offerings that provides fertile ground for the students' musical development and offers concertgoers and classical music lovers a concert experience at the highest level. 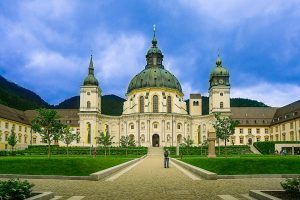 The International Summer Academy Ettal takes place from 18th to 31st of August 2019. Registration deadline is June 30th. Please register first and apply then for your desired masterclass via your profile: Click here for the application. The costs for the masterclasses can be found on the respective professor’s page. With your application a fee of 75 € is due. This will be deducted from the course-fee. single-rooms: for a one-week masterclass 195 €, for two weeks 390 €. 2/3-Bedrooms: for a one-week masterclass 140 €, for two weeks 280 €. We try to take into account your room wishes as best as possible. Unfortunately, there is only a limited amount of single rooms, which is why the allocation takes place according to the registration date. We can further offer full-board (breakfast, lunch and dinner). Costs are for a one-week masterclass 126 €, for two weeks 252 €. Information provided without guarantee. Subject to change. For the participation in master classes you have the possibility to apply for support at the GVL. More information on the homepage of the GVL. The Classical Summer Festival Ettal will begin on August 9th with an opening concert in the Ettal Monastery in 2019 and will be followed by a concert at the Richard-Strauss-Institut in Garmisch-Partenkirchen on August 10th. The Summer Academy will enlighten the Ammergau Alps with the finest sounds in our daily concerts from August 19th until August 30st. The program and the exact concert dates will be updated here as soon as possible. Sign up for our newsletter to be up to date. As soon as the ticket sale starts, tickets are available at all ticket outlets in the Ammergau Alps and at MünchenTicket. Friday, August 9th, 2019, 8 p.m.
Saturday, August 10th, 2019, 8 p.m.
Monday, August 19th, 2019, 8 p.m.
Friday, August 30th, 2019, 7.30 p.m.
After a successful Classik Summer Festival 2018, we are pleased to invite you to our Winter Concert on December 28th, 2018 at the Ettal Monastery. You will hear great young talents who are already pursuing an international career today and who will enchant us with high-class classical music on this evening. Tickets available at all ticket outlets of the Ammergauer Alps (Tel. : 08822 / 922 740) and at GAP-Ticket / MünchenTicket (Tel. : 08821 / 730 1995). Friday, December 28th, 2018, 8 p.m.
Yena Roh was born in 1994 in Seoul and began playing the piano at the age of six. 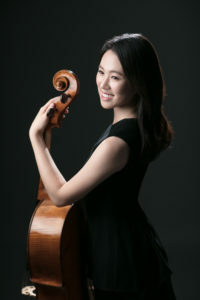 At the age of 14 she made her debut as a soloist with the Korean Chamber Orchestra in Seoul and she is the winner of numerous national competitions in Korea. In 2016 she won second prize at the 8th International Piano Competition "Citta di Treviso", after which she had a concert in Treviso. She has participated in international festivals as well as Academia Internacional de Musica de Solsona in Spain, Talent Music Summer Courses & Festival in Italy, International Summer Academy Ettal and has had many concerts including solo and chamber music. She has also participated in masterclasses with Oliver Kern, Christoph Lieske, Michel Beroff and Menahenm Pressler. From 2007 to 2012, she attended Yewon Arts School and Seoul Arts High School. She completed her undergraduate studies at Seoul National University with Hie Yon Choi and Ian Hobson, currently studying for her master's degree at the University of Music and Performing Arts Munich with Adrian Oetiker. Sul Yoon was born in 1995 in South Korea. She graduated from Seoul National University. In 2018 she received the 3rd prize at the 25th International Johannes Brahms Competition in Austria and the 2nd Prize at the International Music Competition Buchenau Spring in Germany. 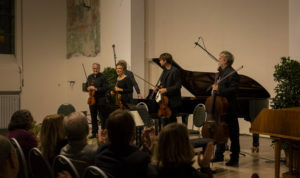 She participated in the Academy Concert at the 2018 Rutesheim Cello Festival. 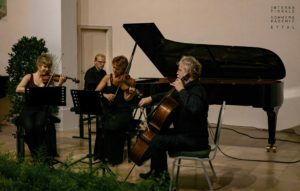 In addition, she participated in the Academy Concert of the International Summer Academy Mozarteum in 2016 and 2017. In the Allegro vivo Festival she played at the 1st prizewinner concert. She made her debut in 2012 at the Kumho Young Artist Concert in Korea. 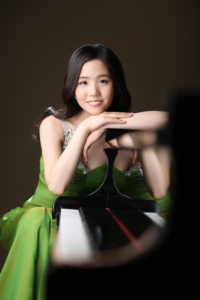 She is currently studying with Wen-Sinn Yang at the University of Music and Performing Arts Munich. Lorenz Chen was born in 1994 in Freiburg im Breisgau. Among his recent successes include u.a. first prizes at the Schoenfeld International String Competition 2018 and the International Violin Competition Henri Marteau 2017 and the second prize at the Premio Rodolfo Lipizer International Violin Competition 2016. At the ARD Music Competition 2017 for Violin, Lorenz Chen was awarded the U21 Special Prize for an outstanding performance by a young competitor. Lorenz Chen received his first violin lessons at the age of six and was taught by Jörg Hofmann from 2003 to 2008. He was admitted to the class of Julia Fischer at the University of Music and Performing Arts Frankfurt in 2008 as a junior student. In 2011 he began his studies at the University of Music and Performing Arts in Munich. Since 2015, Lorenz Chen is a student of renowned violin professor Ana Chumachenco. Lorenz Chen is the first federal prize winner of the Jugend musiziert competition and has received several special prizes from the Deutsche Stiftung Musikleben and the Deutsche Mozart Gesellschaft. He was also awarded the Youth Promotion Prize of the German-French Society Freiburg and the European Hope Award of the European Cultural Foundation Pro Europe. 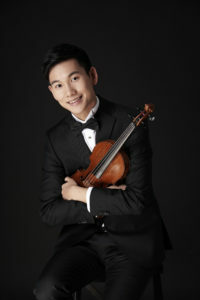 In addition to his solo career, Lorenz Chen appeared as concertmaster of the Junge Deutsche Philharmonie and the Verbier Festival Orchestra in renowned concert halls such as the Berliner Philharmonie, the Frankfurter Alten Oper and the Laeiszhalle Hamburg. Lorenz Chen plays a violin by Nicolò Gagliano from the second half of the 18th century. Over the past 39 years, the International Summer Academy has had an impressive portfolio of renowned professors and young talents. Lecturers such as Sándor Végh, Thomas Demenga, or Eduard Brunner had a strong impact on the Academy, and internationally active musicians such as Ana Chumachenco, Nora Chastain, Troels Svane or Adrian Oetiker are committed and dedicated to the education of gifted young artists. 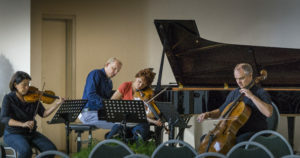 Musicians such as Julia Fischer, Bomi Song, as well as today’s lecturers Adrian Oetiker, Nora Chastain and Adelina Oprean were trained by the teachers of the academy in the perfection of their skills and learned here the sense of value, beauty and depth of music. The basic idea for this was provided by Prof. dr. Kurt Pahlen, when in 1977 he spontaneously gathered six lecturers to form a faculty with some important musician friends such as Sándor Végh, Peter Lukas Graf and the singer Sena Jurinac and conducted the first academy with sixty students from various countries. 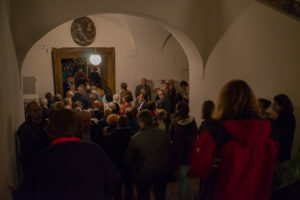 In 2017, on the occasion of the 40th anniversary of the International Summer Academy, it took place for the first time in the Benedictine monastery of Ettal.